John – Enjoyed the book may read others by this author; hooked from page 1. Loved the plot, revealed as you go along, very clever!! Val – Enjoyed the woven plots. Clever authorships, did not suspect the perpetrator. Kay – Enjoyed the writing. Suggestion of sexual abuse, hard to read domestic violence ‘Red Herring’ re ‘Woman in sea’. Book stayed with me after finishing. Translation ok, but occasionally slightly off. Margaret – ‘Not spectacular’. Domestic violence confronting. Learned a lot about Iceland. Adrianne – Not gripping at beginning, then became more interesting and more complex. Terry – Fascinating read. Icelandic society present and past. Reflections methodical, chilling incidents and revelations. Good plots. Interesting history e.g. Haylles Comet. Richard – Enjoyed the book, quality novel; damaged characters. 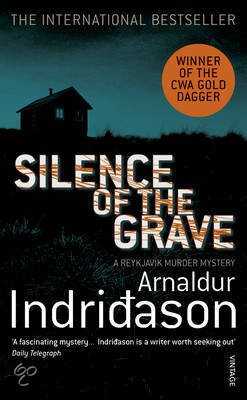 This entry was posted in Fiction, Mystery & Crime, Recommended Reading and tagged 1st Wednesday Book Group, Arnaldur Indridason, Book Groups, book review, Parramatta Library, Silence of the Grave by admin. Bookmark the permalink.